Def Leppard closed out their induction into the Rock & Roll Hall of Fame last night (March 29) with a cover of Mott the Hoople‘s “All the Young Dudes.” For good measure, they not only brought out Queen guitarist Brian May, who gave the speech inducting them, but also special guest Mott the Hoople leader Ian Hunter and several of the evening’s other participants. Joining them on stage for the David Bowie-penned song were Colin Blunstone and Rod Argent of the Zombies, Phil Manzanera of Roxy Music, Susannah Hoffs of the Bangles, and Steven Van Zandt. 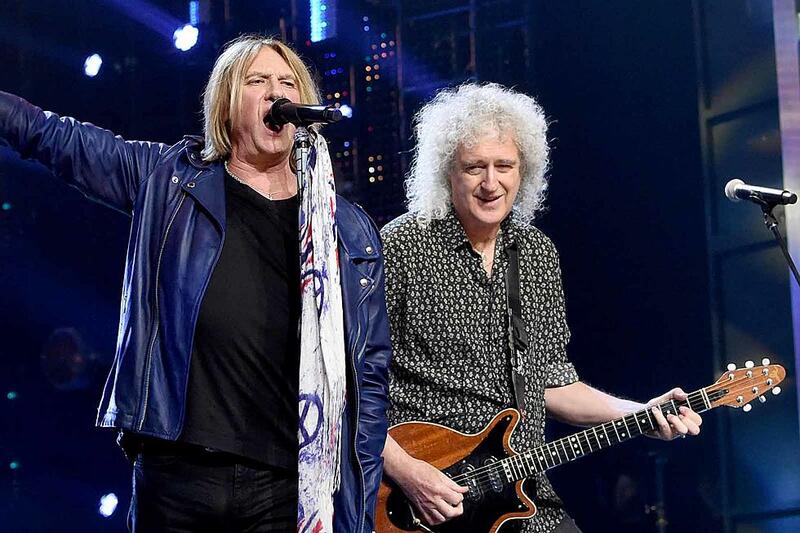 “There’s normally an all-star jam,” frontman Joe Elliott told the audience, “but this is a little different; more up-to-date, less messy, more classic.” He then welcomed the others onto the stage at the Barclays Center in Brooklyn, N.Y., saving Hunter for last and pointing out that it was also the 45th anniversary of Mott the Hoople’s last album, The Hoople. You can watch it all below.